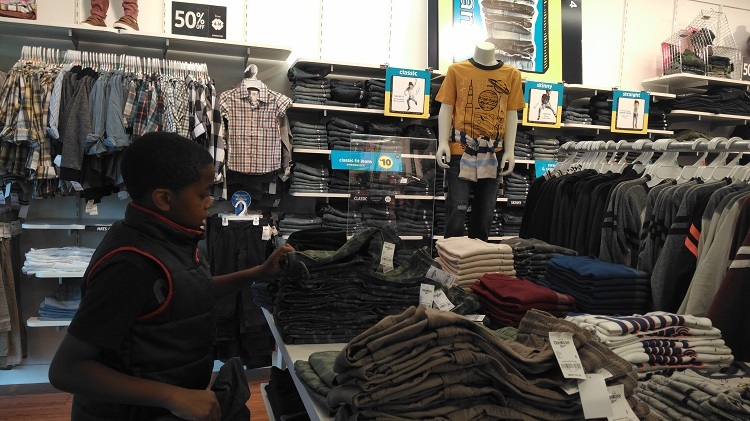 I think shopping for back to school clothing has easily become one of my sons’ favorite things to do. He likes to shop for himself in general but as he’s gotten older he has gained more independence in certain areas. He’s encouraged to express his personal style by picking out his own clothing while I’m on the sideline to give him my feedback and help guide him while shopping. My son has pretty good sense of style and pairs his clothes very well so I don’t say much. I just keep him within his budget while shopping. 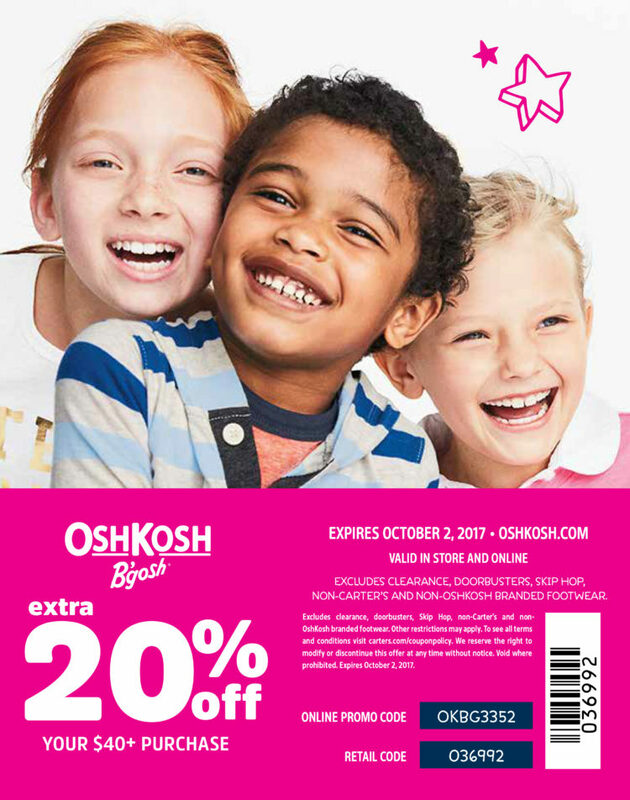 We recently visited our local Osh Kosh B’gosh store for some back to school shopping and took advantage of some of the great deals up to %50 off on select items. My son took the lead and he immediately went to the graphic tees which are $5.00 all sizes. It’s a Doorbuster deal! He picked out two of his favorite designs that totally match his personality. I love the “I’d rather be gaming” tee because that’s so him! He also got the bull dog tee that says “Sup Dude?” Again… totally my son! Next Up… we ventured over to the jeans and got into the debate about what style jeans to get. I like the classic jeans design which is not too skinny or slouchy and he likes the straight cut design from hip to ankle. I let him have his way and he got exactly what he wanted. The jeans were $12.00. Jeans are also a doorbuster deal. You can take advantage of the deal and help gear kids up with the B’gosh Jeanius Campaign by donating a new pair of jeans or cash contribution in-store or online through September 18th. B’gosh Jeanius has also partnered with DonorsChoose.org to help students and teachers thrive this year. I’ll be donating $50.00 to a project of my choice and encourage you to participate as well. 100% of your contribution benefits the children Osh Kosh B’gosh & Carter’s serve. The Carter’s Charitable Foundation will match all cash donations up to $50,000 and all denim donations with an item of clothing. 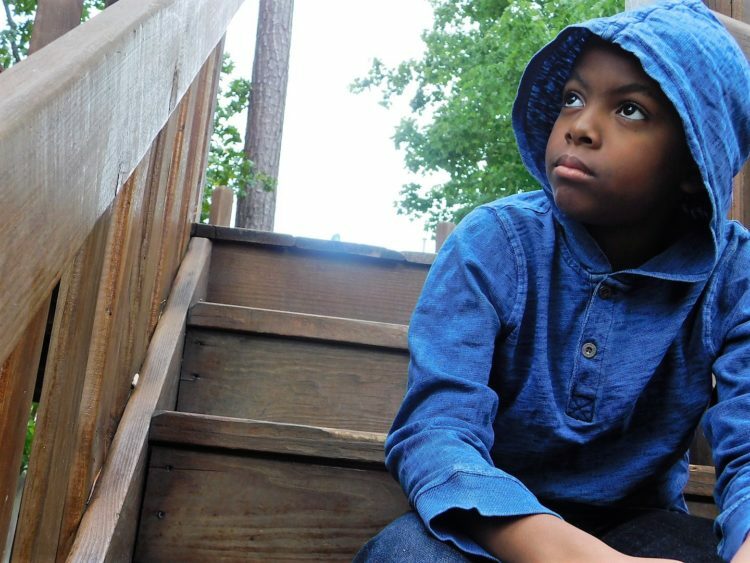 Learn more about the B’gosh Jeanius Campaign. We weren’t finished shopping yet, we looked at the uniform polos and he chose a couple of them along with a pair of uniform shorts. There was also another hooded knit top that he just had to have in his wardrobe closet. 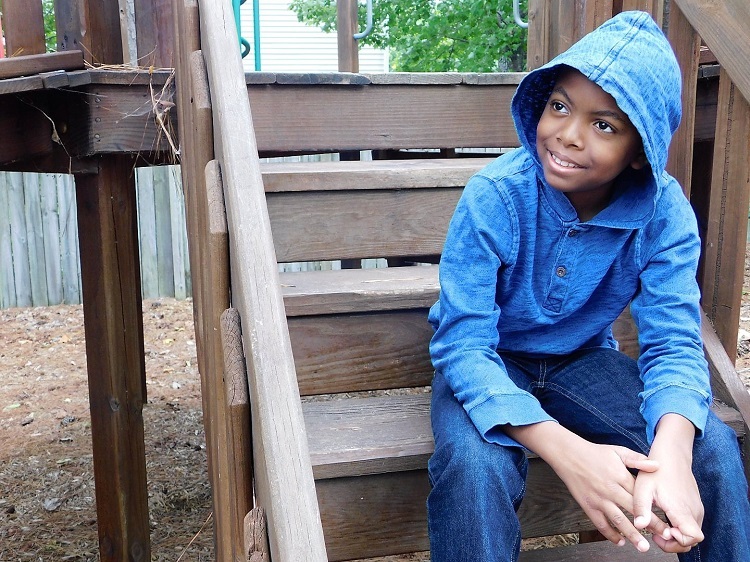 Osh Kosh B’gosh allows you to mix it up with clothing. We were able to come up with several different looks using the jeans, uniform shorts, graphic tees, polos and hooded knit top. They fit my son comfortably and look so good. He’s definitely styling and profiling is his Osh Kosh B’gosh wear displaying his sharp personality. As always we had a great shopping experience and I’m sure we’ll be back sooner than later. He’s definitely an Osh Kosh Kid and really loves their clothing selection. 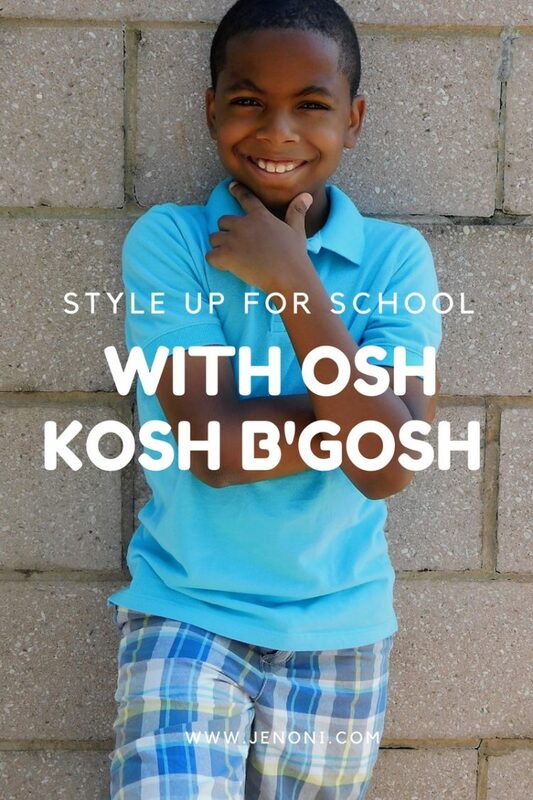 Take advantage of the great prices and coupon code for style up 4 school with Osh Kosh B’gosh. Shop in-store or online. Coupon Code: OKBG3352. You get 20% off of a $40.00 or more purchase. Use the Store Locator to find the closest Osh Kosh B’gosh near you. 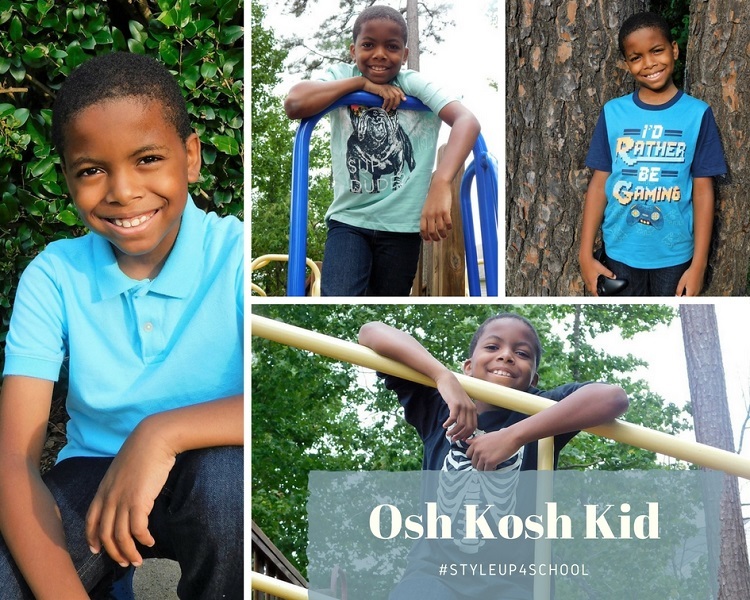 Bonus: I’m giving away a $50.00 Osh Kosh B’gosh gift card to one lucky person. If you have got some back to school shopping to do, I’ve got you covered! The giveaway will end Thursday September 7th at 11:59 p.m. EST Good Luck! Enter Here! So, how do you shop with your little one for back-to-school? This is so helpful! Thanks Jen! 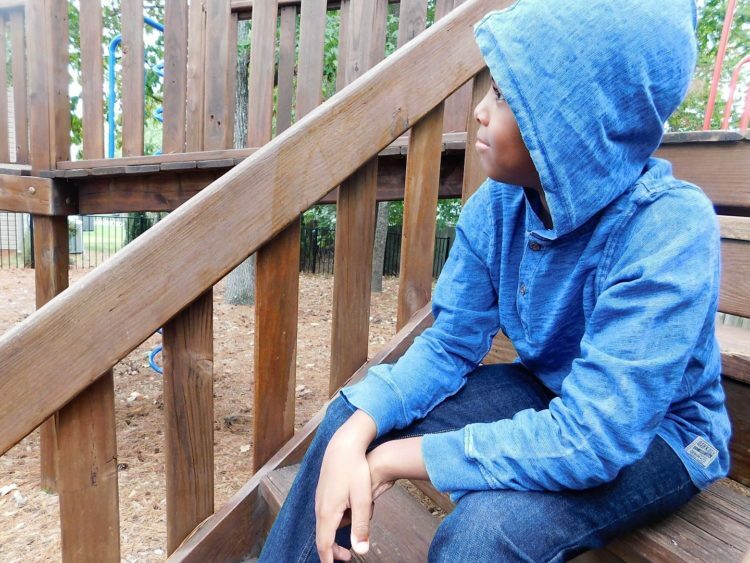 Love these photos of your son in his back to school style! I am still gettong the hang of shopping for a 1st grader who is becoming pretty vocal about what she likes and doesnt like. Lol I plan to enter the giveaway because I seem to have to get rid of alot of clothes as she grew over the summer! I let them tag along and pick things out. We go to the second hand store along with Shopko. 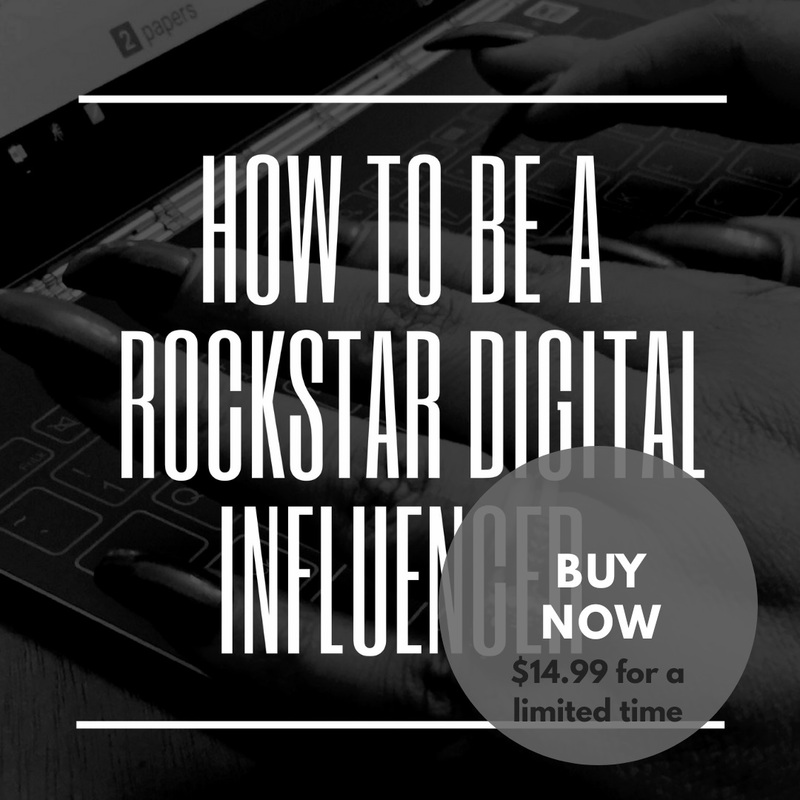 I look for sales as often as possible and usually pick up the clothes for my kids to try on at home. I do most of my shopping online. Hate fighting local traffic. I try to shop the sales and use coupons as well to save us some money! I try to pick up things year round when they are on sale! I shop for my nieces online mostly. It’s better than visiting multiple stores and fighting traffic. I try to do my shopping online – there seem to be more choices and sizes that way! Oh my gosh SUCH cute clothes! I love what you picked out for him! You kiddo is adorable in these pictures! I will have to check and see if there is stuff my kiddo will love too! The clothes look great and most of all he looks really comfortable! Great choices. These are the cutest clothes! I used to always shop at Oshkosh but my kids outgrew it. Boo! But I LOVE their overalls. Osh Kosh has always had wonderful clothes for kids. We find the greatest long outfits for the boys and they last and wear really well. Doria´s last blog post ..Unboxing GUND x Official Studio Ghibli Plush! We shop throughout the summer for back to school so we aren’t overwhelmed just before it starts. I love how this brand always looks like it’s cute and classic. Still relevant, without being overly trendy or on times-which means multiple kids can pass it down and wear it still for years to come. What a cutie. I love that Sup Dude shirt. My oldest would rock that. We love Osh Kosh. They have the cutest clothes and they’re so trendy, too! I used to always take my kids back to school shopping there. It’s hard to get time to shop but my son loves to pick out his own clothes. I love going with him. Those are very stylish back to school clothes . I love shopping Osh Kosh for my kids. They have such great clothing for kids. Your son does have a great sense of style, and he is a natural model too! I would love to get an extra 20% off. Osh Kosh Bgosh makes amazing kids clothes. They make great hand me downs because they are made so well. I shop back to school for my niece online and will take her to the mall occasionally. Osh Kosh was the best when my son was young. I love the looks your son chose and he looks like a natural in these photos. I usually take my oldest daughter to choose what she wants to wear. I shop for my boys alone. My kids favorite clothing brand was Osh Kosh B’gosh. 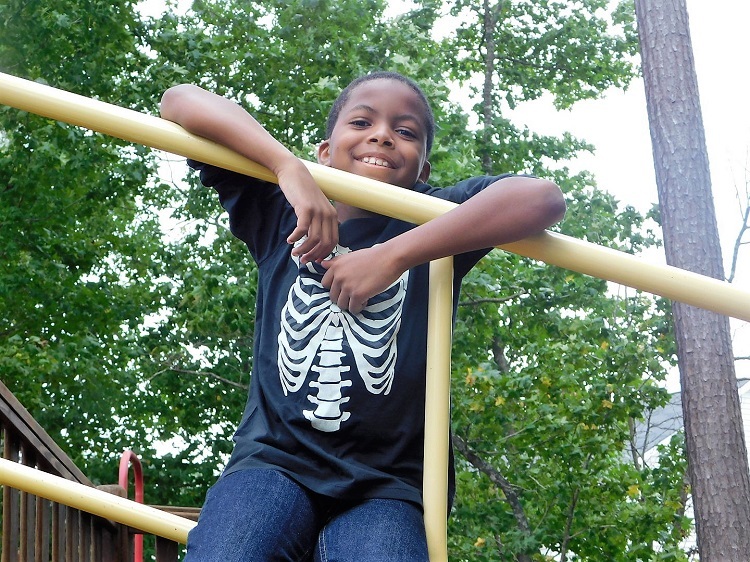 They are sturdy and comfortable, perfect for those active little bodies. My kids are grown, so it is my niece and nephew who are enjoying their Osh Kosh B’gosh back to school clothes. Thanks for sharing the discount code. I am letting my sister know about it. I absolutely ADORE Osh Kosh! My favorite is their fleece lined overalls for cold winter days! Such cute lines of clothing! I let my daughter pick her own clothes since she tells me I dress like an “old lady.” My son is easy- just tries on pants to make sure they fit, grabs a few t-shirts & he’s done. The dresses look really trendy and stylish. Definitely looks like value for money. We always take him along so he can pick out things he really loves! sometimes he picks out something that I would not have thought he would have liked! For back to school shopping, we try to make it a fun day. We plan a nice place to go to lunch and maybe the park in the afternoon. I don’t make a stink over getting it all done in one day. It only stresses us all out. I like to do a lot of online shopping. I’ve found if I include my kids in choosing their back to school clothes, they are more likely to wear them! I love this! Always been a fan of Oshkosh. Your son is so cute by the way! Thanks for sharing. How to shop on a budget and still look stylish! We go to the mall, so there is many stores for more choices. I find the sales and they find what they want where mama can use her coupons! I try to buy a few seasons ahead when I find a great sale and always use coupons and rewards programs. I take them all with me and everyone gets to pick out something they will like! I order anything and everything that can be ordered online, Always!! I will take her shopping with me. We tend to go to several small local shops and consignment stores. Also online shopping. Thanks so much for the chances to win. I do some shopping in person as early in the summer as possible when school type clothing starts coming out to check sizes and then I finish up online shopping. We did most of the clothes shopping in-store and the misc. supplies online. 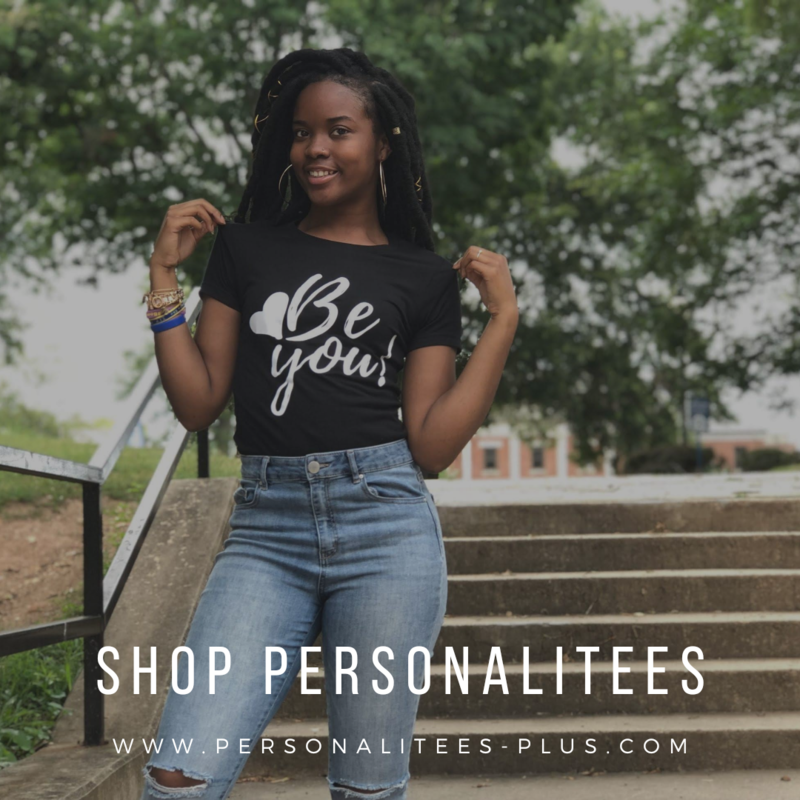 We go through the closet and sort out those items that are too small, too worn and then take advantage of the no-tax day to stock up on what is needed to start the school year in clothing. I shop sales and bring my little ones along with me to help pick what they like!